I am a Data / DWH / BI specialist with 7 years of experience in many projects in Poland, United Kingdom, Netherlands and Switzerland. I specialize in delivery high standard solutions that are data-oriented. I am thrilled to work with data. Understand it, process and transform, and ultimately create usfeul solutions. I have worked in many industries like: public, healthcare, wealth management (insurance, investment funds, banking, leasing, trust), FMCG, oil & gas. I work in International Wealth Management division, in a Private Banking area. My main responsibilities are architecting, developing and maintaining a Global Data Platform for all worldwide Credit Suisse Trust locations, including: Zürich, Liechtenstein, Singapore, Bahamas, Guernsey. in order to give a recommendation about buying/selling/holding bonds. Task involved not only to build a Deep Learning model but also an attempt to beat currently used model that used Soft Learning techniques. The whole solution was based on GCP (Google Cloud Platform), so there was also a task to architect appropriate cloud architecture for the solution. I worked in a Global IT Department division on a Global Datawarehouse for the whole group (4 divisions, 40+ countries). This datawarehouse acts as a single source of truth for Sales, Stocks and Inventory areas of retail business. first - understand better their challenges, next - propose and implement IT solutions. Liquidity Datawarehouse Team focused on implementation Basel III Regulatory Framework. As a part of the team I was involved in the whole lifecycle of building and extending Data Platform to meet the Risk Department requirements. Role: Continous Integration / Continous Delivery specialist in Liquidity Datawarehouse Team. As a part of this team I was involved in define and implement the strategy of CI/CD processes. * Gather requirements about the processes. * Migration of the whole company's Datawarehouse from Oracle to MS SQL. * System for automated ordering and sheduling requests for pesticides. At that time, there was an IT company called Outbox. 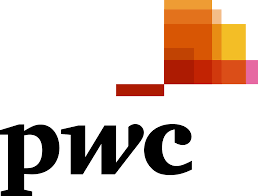 Currently is a part of PWC as it was aquisited at some point of time. * Implementation of a system which supports Group Insurance for Corporate Clients Department. I love to explore new places. Getting to know better the history, culture, customs and food. My top destinations are big/huge cities, where you can experience the hustling and bustling of a daily life to the maximum. Nevertheless, I like also more calm places, like ancient buildings, churches, temples or wats. Photography is one of my favourite hobbies. I like city and landscape photography. I am training to be more skilled in street and portrait photography. What is more, I like not only taking pictures, but also all what happens next, so all the post-processing steps. I like to use Photoshop as my main tool to do this. I love spending time in the kitchen, cooking various dishes. It makes me so relaxed. I like to do experiments in the kitchen, trying to not following cookbook all the time. My beloved cuisine is definitely the whole Asian quisine, where Thai and Chinese I like the most. Reading is an awesome thing! I love fantasy and s-f books the most. Also a good political fiction and history book is worth reading. Recently I am trying to read some biographical books also.